Arnaudville is a small community in St. Landry and St. Martin parishes on historic Bayou Teche and some pretty cool things are happening there. A favorite stop of ours when traveling through the southern part of our state is Bayou Teche Brewing on La. Hwy 31. Besides the fabulous beer and tasty wood-fired pizza, you meet the most interesting and friendly people there. On our most recent trip we met a guy from Florida who was in town working for developer Tony Adrian at Les Deux Mondes guest houses. It was an odd coincidence because we had spotted the colorful cottages a few days before and been curious about them, and now, here was this fellow ready to tell us all about them. A couple of days later we had the chance to meet Tony and tour three of the cottages and now we can't wait to return and stay for a few days. In fact, I'm rather obsessed with the idea. Tony Adrian is an energetic and enterprising craftsman; a former nurse, he now is co-owner and developer in the renovation of seven formerly dilapidated homes on Front Street in Arnaudville. The houses all date prior to 1920s and he was eager to show them to us. The pastel cottages actually face Bayou Teche and while all of them are not complete yet, the three we saw were ready for occupancy while another is the current residence for the ULL student who does the landscaping and gardening. 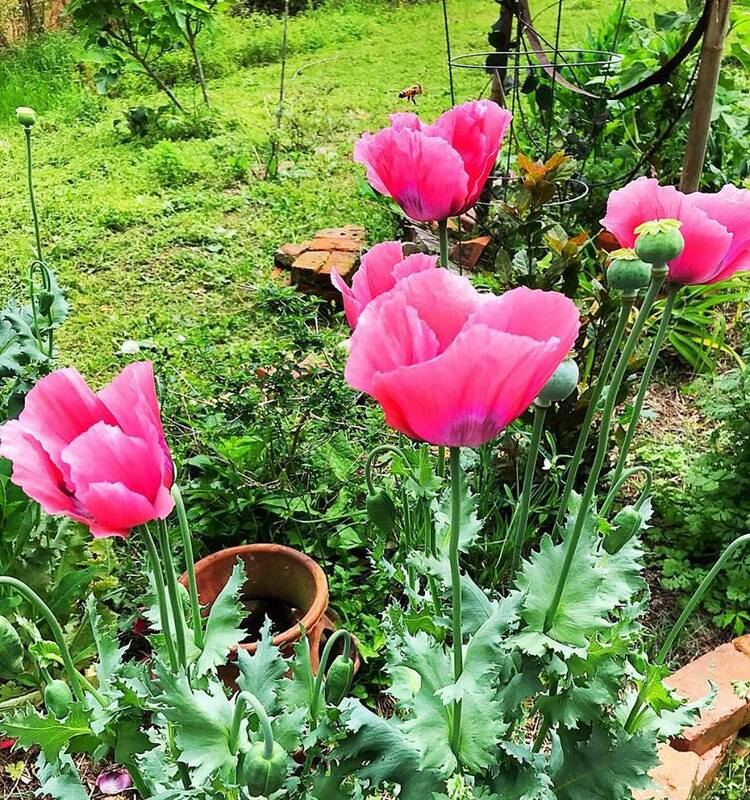 Just a few years ago the property was a trash dump and eyesore and neighbors were a little nervous when Tony started moving in more dilapidated houses, but after he removed several dump trucks full of trash, fixed up the houses, and planted some flowers, tensions eased. The cottages we walked through had gorgeous cypress tables and red oak counter tops, fully updated kitchens and bathrooms, stunning pine plank flooring, and simple, tasteful decor. The walls feature original art from Nunu Art Collective in Arnaudville. Tony pointed out that he used milk paint made on site on the walls, "no latex paint," he said, shaking his head. He has built spacious porches facing the bayou for each one. "Houses used to front the bayou," he explained. "The street side was the back door, so that's what we did." You can walk across the street to Russell's and pick up your groceries or a plate lunch; you can spend the afternoon in a hammock just watching the bayou, or you can go down to the brewery for pizza and conversation. You can even put a kayak in the bayou and explore the historic Bayou Teche. "Have you ever had loquat?" Tony asked me as we walked around to the street side of the houses; he pointed to a tree filled with pale orange fruit. He plucked one from the tree, bent forward, and bit in, juice dripping everywhere. "You might need a bath when you get through!" he laughed. The gardens along the cottages are filled with lovingly tended blooming plants, natural grasses, fruit trees, and vegetable plants. Amber was setting out tomato plants when we were there. Tony is all about conservation and preservation so he uses natural and local materials when he can; the rooms are all inviting and filled with natural light. He has updated all of the plumbing and electricity. Some of the cottages are single occupancy while others are duplexes with a shared porch. The cottages are listed on Air BnB, if you're interested in a stay. I plan to try them all! In fact, I'm hoping maybe I can talk Tony into selling me one someday, but I doubt he'd be game for that. I get the impression this is a project of love for him. New Iberia oaks featured during the Live Oak Walk. In my series on the Books Along the Teche Literary Festival, I would be remiss if I didn't cover the best part of this festival. Yes, the events are great, but what makes this festival so cool is the people you meet in New Iberia. This festival draws people from all over the world, and that is not an exaggeration! James Lee Burke has quite a fan base, it seems. Steve and I have made really good friends at this festival and have met people we stay in touch with. Last year we met Wendy and Mike who simply insisted that we could not sit out the Cajun dancing, would not take no for an answer, and before you know it, had us up dancing with the locals. We stayed in touch and even made another trip to New Iberia over the summer to meet them for dinner and dancing. You won't meet better people anywhere. This year we made new friends once again. 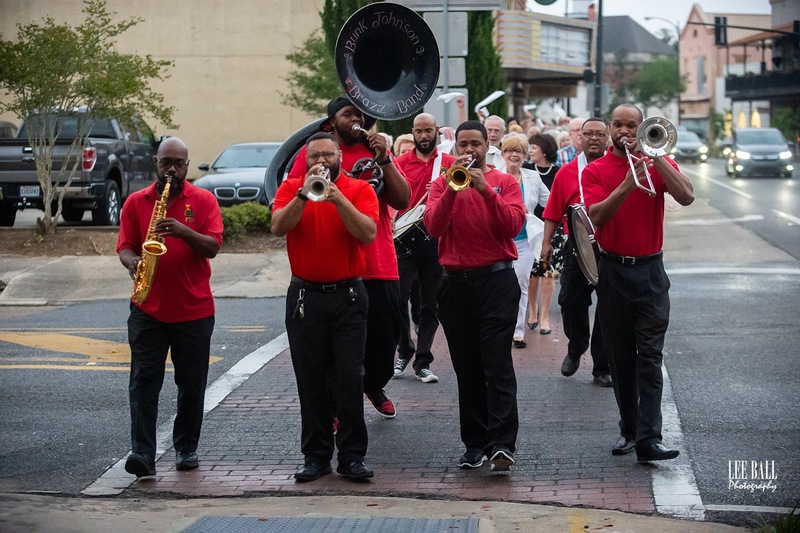 The first night, the Opening Reception event was moved from The Shadows to the Sliman Theater on Main Street due to rainy weather. We sat at long tables in the center of the room with the two buffet lines against the walls, and the Bunk Johnson Brazz Band played on stage. 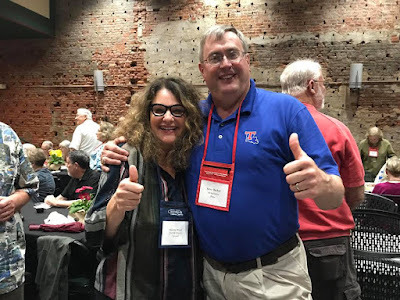 We were joined at our table by Mary Ubinas who, with her husband David Dahlquist, is active in conservation and preservation of Bayou Teche through the Teche Project. Mary is the lady who last year stood outside of The Shadows with us and told us that they could have retired anywhere in the world they wanted to and they wanted to come to New Iberia. They were from Iowa, where Steve is from, and we really enjoyed meeting them, so I was glad to see Mary again this year. She was accompanied by her friend Marsha, also from Iowa. In the "It's a Small World" category, we found out that Marsha and Steve have one of those six-degrees-of-separation connections and we all hit it off immediately. The Opening Reception could not have been more fun or spontaneous. Lt. Governor Billy Nungesser was in attendance and declared his love for New Iberia in his comments to the crowd. He said that he has the best job in the world and I tend to believe him. Who wouldn't love being able to attend all of Louisiana's great festivals and mingle with such wonderful people? The organizers of the festival are talented, adaptable people who were totally unflappable about the location move for the event and when it came time to do the Second Line with the band, normally done through the gardens of The Shadows, Vicky Branton just led us all right out the front doors of the Sliman, down Main Street, stopped traffic, crossed over, and came back again! It was delightful! I think the band was as surprised as anyone that we went outside. This was about the time I discovered my camera battery was dead and I had failed to bring my backup, so I ran alongside with my cell phone recording the Second Line. Cars were honking and people rolled down their windows and waved and cheered. We kept on going until we returned to the Sliman. The evening concluded with a lively auction of a beautiful painting by Jerome Weber whose work was used as the image on the festival t-shirt and poster this year. As we were leaving, Steve and I lingered, visiting, hating for the evening to end. That's when we met Stefan Kropelin who came to the festival from Cologne, Germany. Anyone who knows my husband knows he loves the time he served in Germany while in the Air Force and so he was delighted to meet Stefan. They hit it off right away as they compared blood sugar readings, meters, and insulin pens, and then Stefan told us all about how he discovered Burke's books and how much he enjoyed them. He's read them in both German and English and when he learned about this festival he just had to come. 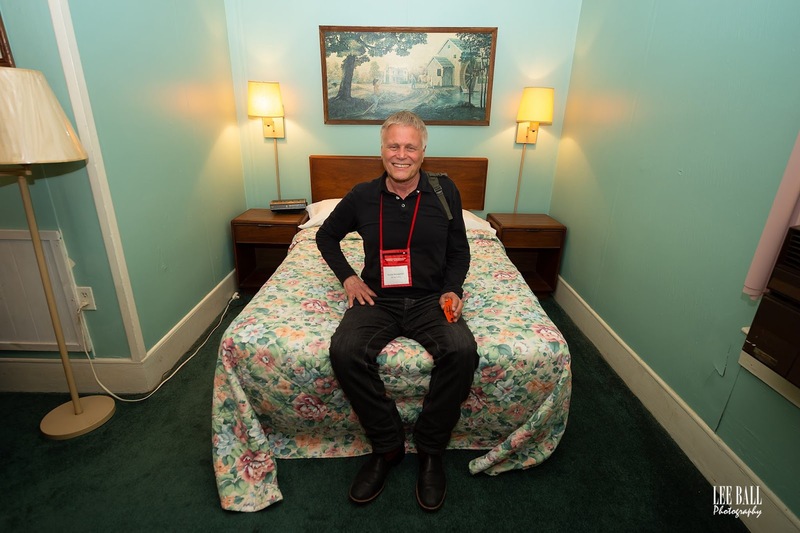 Stefan even rented Clete Purcell's room Number 4 at the Teche Motel! I just fell in love with Stefan; he was having a wonderful time. He took millions of photos, he gathered email addresses, and he talked to every single person there. Such a wonderful, joyful person! The last night we all went to the Boogie On Down event at the Steamboat Warehouse Pavilion where we ate, danced with Rebecca Wells! (squeeeee! ), and made more friendships. Marsha, Wendy, Me, Steve. (Photo by Stefan Kropelin). At the end of the night I think Stefan was as sad for it to all end as anyone; we were the last ones to leave long after the band had already packed up. Stefan catching one more photo of the band. I don't think there is enough space to capture all the great friendships I've made through this festival. Fran Thibodeaux from the Iberia Parish Convention and Visitors Bureau has my heart - she has made it possible for us to attend this festival and could not have been more generous and kind to Steve and me. What I've found in New Iberia, and I've made at least half a dozen visits in the past twelve months, is a community of warm, welcoming people who are genuinely glad that you are there and happy to greet you and talk to you. They're proud of their community and happy to share it with you. I completely understand when Mary Ubinas says there is no place they would rather live. There is so much happening at this festival, I still could not do it all this year, and I still have a list of posts to share with you about other events! Honestly, in a state with over 400 festivals per year, the Books Along the Teche Festival is one not to be missed. It highlights all that is beautiful and special about Louisiana, about Iberia Parish, and about the people that comprise both. James Lee Burke sites and scenery is just a bonus! Special thanks once again to Lee Ball Photography for the use of his photographs! Well, now. As you may have heard, there is a vote coming up in Bossier Parish on May 4, 2019. It's a pretty big deal. 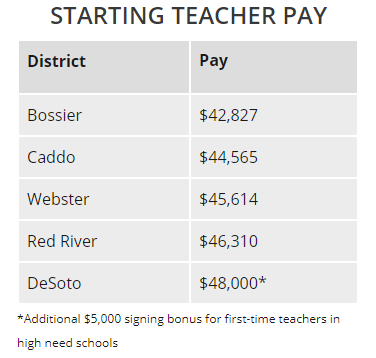 In Bossier Parish, teachers have not had a raise in twelve years. Adjusted for inflation, I make less now than I did eighteen years ago. 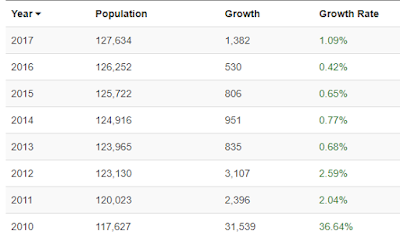 But this issue seems to be tearing Bossier apart: us vs. them. Teachers v. Business. The lines have been drawn, tensions are high, emotions are raw, and we have two more weeks to go. It's getting ugly. Let's try to step back and put things in perspective. 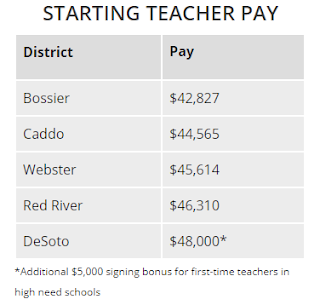 Full disclosure: I've been teaching in Bossier Parish since 2001; I taught in Caddo five years before that. We can rehash both sides of this issue and I can regurgitate the vitriol on both sides but I don't want to do that. One of the things I have loved about teaching in Bossier is that I've always felt that the people of Bossier Parish, the families, the businesses, the school system itself, valued teachers and valued the product that we have been producing, but these days, well, we just aren't feeling the love, you know? Bossier Parish has grown exponentially and that's due in part to the large number of great schools. You know this is true. People move to Bossier for the low crime and for the schools. Just from a financial point-of-view, over the last twenty-three years, I've bought countless pens, pencils, erasers, dry erase markers, art paper, boxes of tissue, bottles of hand sanitizer, Band-Aids, Clorox wipes, bulletin board supplies, laminating materials, file folders, notebook paper, composition books, binders, binder clips, spiral notebooks, colored pencils, paper clips, Scotch tape, staples, PostIt notes, highlighters, sticky tack, snacks for my students, and books for a classroom library, among other materials. When my students have a need, I do what I can to help. How many times have I given a dollar to a kid who is hungry and needs a snack after school? Or doesn't have lunch money? Every single teacher I know does this. We give and we give and we give. We give our time, too. We spend afternoons and summer breaks in professional development training, faculty meetings, inservices, and workshops. We bring papers home to grade, we spend weekends and evenings with your kids, grading their papers, giving them feedback, planning engaging lessons, updating you on their progress. We worry about them if they are struggling. We go to their athletic events, and we chaperone dances and bus trips. We celebrate their accomplishments and we cry when they get in trouble, just like you do. Bossier Parish has the most caring, giving, and talented teaching pool I have ever seen. So this vitriol I'm seeing on social media, this "us vs. them" mentality that I'm seeing, is so disappointing. As teachers, we don't need to feel like you don't support us. It's no longer good enough to say, "I support teachers BUT....". That hurts, now. 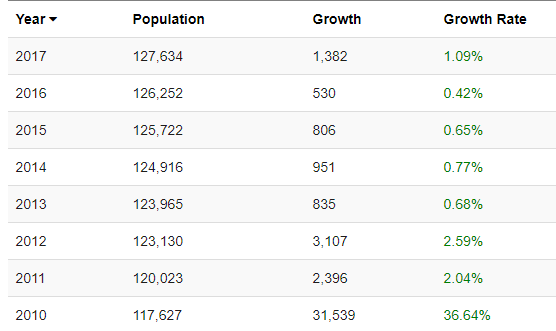 Bossier is the lowest paying district around. I have personal friends in Bossier Parish who are not supporting this raise. It's hard not to take that personally but I can't. On one level I hear, "I don't support you or what you do. You knew you weren't going to make a lot of money when you went into teaching." On the other hand, I hear, "I don't want to pay more taxes. It'll hurt my business." Everyone cares about their own pocketbook, right? We have to get past that and we have to get past the hyperbole. Everyone in Bossier Parish needs to get behind this and we need to quit tearing each other apart. We need to get our feelings off our sleeves. It's not a fight - it's a common interest. If this passes, we all win. Sure it will cost more in taxes, but I challenge you to think of it as an investment in the future of your business or your property values. To those who say it needs to be a sales tax, it can't legally be done that way. To those saying the casinos ought to pay for it, that can't be done either. To those saying John Bel Edwards is going to pass a raise, please, just stop. For the good of Bossier Parish, for our kids, for our schools, our community, we need to come together on this. We need to keep our young teachers from fleeing to those neighboring parishes (I know some who have done that), and we need to keep our veteran teachers from signing up for retirement at first chance (oh, I know a lot of those). We need highly qualified teachers in every classroom in Bossier Parish. I don't think boycotting local businesses makes any more sense than denying teachers a long overdue pay raise. This should not be about who can get hurt the most because in the end it is the kids who get hurt. In Louisiana, good food is serious business. We prize our oyster beds, our redfish, catfish, and crawfish. We can batter and fry almost anything and when we aren't doing that we are making a roux and creating a delicious etouffee or gumbo. From Natchitoches meat pies to crabmeat pizzas in Arnaudville, from crawfish in Breaux Bridge to oysters in New Orleans, we love good food. That might be why the Great Southern Chefs Food Demo at the Books Along the Teche Literary Festival in April is always a popular event. 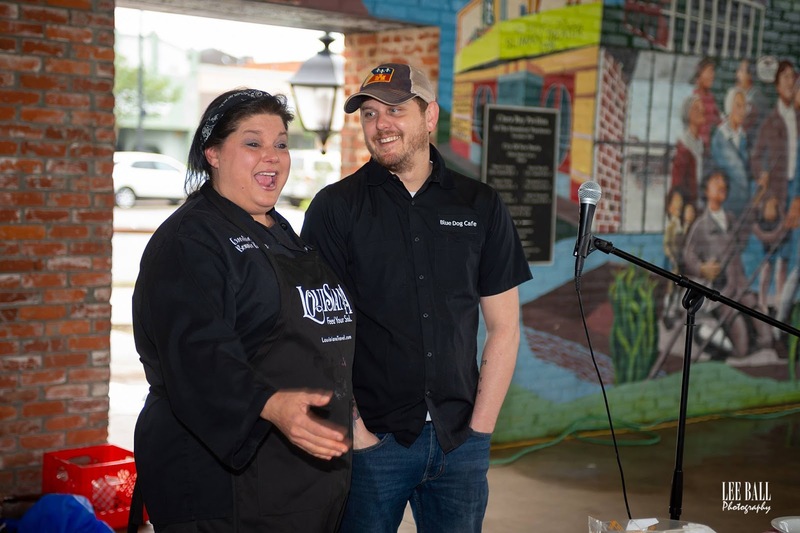 This year the cooking demo featured 2017 Louisiana Seafood Queen Bonnie Breaux of Cafe Sydnie Mae in Breaux Bridge and chef Ryan Trahan of Blue Dog Cafe in Lafayette. Ryan is the 2018 King of American Seafood. The event filled up quickly Friday morning at the Steamboat Warehouse Pavilion on Bayou Teche in New Iberia. 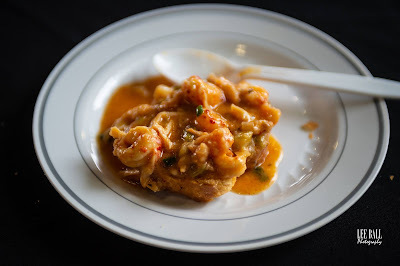 I skipped breakfast that morning because I knew we would soon be sampling delicious bowls of crawfish etouffee and Louisiana shrimp and grits. A seasoned journalist, Ken Wells sleuths out the answers. His obsession goes back to his childhood in the Cajun bastion of Bayou Black, where his French-speaking mother’s gumbo often began with a chicken chased down in the yard. Back then, gumbo was a humble soup little known beyond the boundaries of Louisiana. So when a homesick young Ken, at college in Missouri, realized there wasn’t a restaurant that could satisfy his gumbo cravings, he called his momma for the recipe. That phone-taught gumbo was a disaster. The second, cooked at his mother’s side, fueled a lifelong quest to explore gumbo’s roots and mysteries. In Gumbo Life: Tales from the Roux Bayou, Wells does just that. He spends time with octogenarian chefs who turn the lowly coot into gourmet gumbo; joins a team at a highly competitive gumbo contest; visits a factory that churns out gumbo by the ton; observes the gumbo-making rituals of an iconic New Orleans restaurant where high-end Creole cooking and Cajun cuisine first merged. Mr. Wells's talk was peppered with funny stories and one point that interested me was his research into the earliest gumbos and his discovery that more than likely bear grease was used as the oil for the roux. "New Orleans was awash in bear grease!" he told us. This made perfect sense to me. Elizabeth Shown Mills talks about this in her book The Forgotten People: Cane River's Creoles of Color. By 1792, Marie Therese Coincoin, a former slave given her freedom by Pierre Thomas Claude Metoyer, was successfully farming tobacco on land given to her by Metoyer. She shipped this tobacco on barges to New Orleans. She also "trapped wild bears in the Natchitoches wilderness and sent bear grease to market..." (Mills 39). Mills reports that Coincoin sent, in one particular shipment, three hundred hides and two barrels of bear grease. This was a fairly common practice at that time and so Ken Wells comments resonated with me. During the course of his research, Mr. Wells even obtained a small container of bear grease from a supplier and tested the bear-grease-roux. His book is a fascinating study in the history of our most beloved dish and after his talk, Mr. Wells signed copies of his book. The first cooking demo of the morning was chef Bonnie Breaux. An animated, enthusiastic chef, Miss Breaux says she is self-taught and learned to cook at her mother's side and later out of necessity to feed her family. Most recently Breaux had been the chef at St. John restaurant in St. Martinville (one of our favorites!) and Cafe Sydnie Mae is a sort of sister restaurant in Breaux Bridge. Breaux shared her crawfish etouffee secrets with the crowd at the Steamboat Warehouse Pavilion and stressed the importance of using the crawfish fat in the etouffee. "That's where all your flavor is," she said. When asked what kind of rice she uses, Breaux said she just uses regular medium or long grain rice in her etouffee. There's a time and place for jasmine rice and the other gourmet grains, but not in a Louisiana etouffee. She also shared that she never tastes her food while she's cooking it. and is from Crowley, Louisiana. His rule in the kitchen: "Everyone stirs the grits," he said. "If you walk by, you stir the grits. If I walk by, I stir the grits. Everyone stirs the grits." The rule must work pretty well because his shrimp and grits were to die for; the grits were creamy and the dish was seasoned with Trahan's own Worcestershire sauce. Breaux and Trahan were available and visible throughout the day, talking to festival participants and sharing cooking stories. They were both at the evening event at the Sliman theater as well. There is no shortage of fabulous chefs in Louisiana but festival organizers were on top of the game when they scored these two "royal" chefs for the demo this year! Thank you to photographer Lee Ball for allowing me to use his photos! Rebecca Wells in her vintage 1930s dress. In 1996, Louisiana author Rebecca Wells published Divine Secrets of the Ya-Ya Sisterhood in which Siddalee Walker from Thornton, Louisiana contemplates the past, the future, and the lifelong friendships between her mother Vivi and her fellow Ya-Yas. The book was incredibly successful and sparked such an interest in the Walker clan that the author's earlier novel, Little Altars Everywhere (1992) also became a hit. From there, anything Rebecca Wells wrote was gold. As fate would have it, the sweet taste of success would be on the back burner for Miss Wells. As her books began to rise to the tops of the best seller lists, she would be diagnosed with Lyme disease and would spend the next few years battling the chronic illness that this diagnosis would bring. At the fourth annual Books Along the Teche Literary Festival last weekend, Miss Wells did not talk a great deal about her battle with Lyme disease but the residual effects do linger; bright light is intolerable and she gets cold easily. She tires easily, but when you give as much as she does to a performance, that is easy to understand. 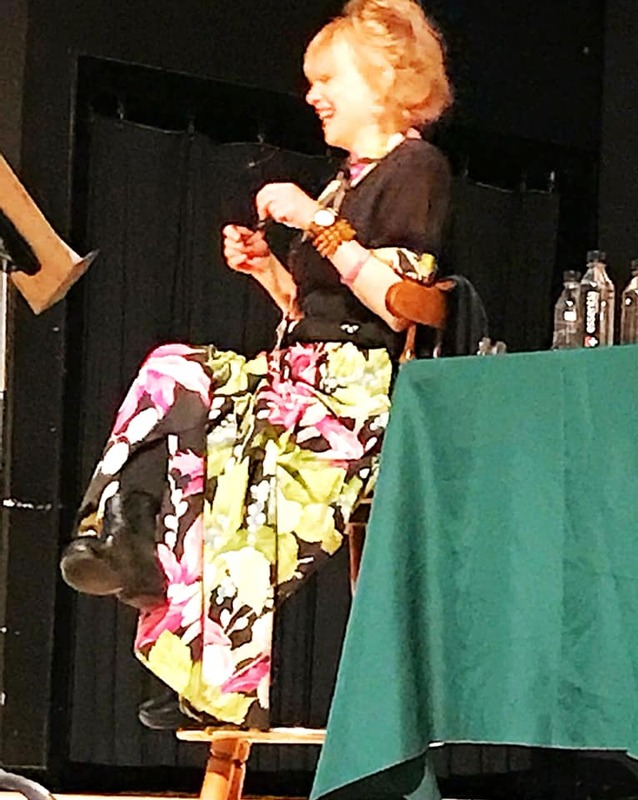 The stage at the Sliman Theater in New Iberia was set for the popular author: three bottles of Essentia water, reading glasses, a tall bar stool, a black shawl, a music stand with her notes. Miss Wells entered from the back of the stage, did a "Loretta Young twirl" to show off her vintage 1930s dress, and took her place. Beautiful, ageless, charming, she told the capacity crowd about her dress, her struggle to find shoulder pads for it, and she talked about returning to the South to live in Tennessee. The highlight of her performance was her reading from her book-in-progress, Divine Daughter of the Ya-Ya Sisterhood. In an interview with Deep South Magazine in 2016, Wells said, "I am never happier than when I am performing my work. It’s really all I want to do," and it shows. She is a performer and as she read her work it was pure poetry. The inflection, the quizzical tones, the humor, delivered in Miss Wells's sweet southern drawl all come through and bring her characters to life. It is mesmerizing to watch and to hear. In the excerpt Wells shared with us, "No More Y'all," Siddalee Walker is in New York and takes a class to minimize her Southern accent in order to advance her acting career. Sidda struggles with this, of course, and as Miss Wells enunciated the difference between "ten" and "tin" and "four" and "fo-oour," I think everyone in the audience was silently saying those words to themselves. I know at the dinner event later that evening everyone at our table said them aloud! "Say 'Ten'!" said one guest from Iowa. After her performance, Miss Wells took a brief break to recoup, and then signed copies of her books for everyone who wanted her signature. Some brought play programs from other performances, and some brought posters. Anything Rebecca-Wells-related that was there, got signed, and anyone who wanted to visit with her got their wish. She was the most gracious, kind person I could possibly imagine. Later that evening, at the dinner and dancing event at the Steamboat Pavilion on Bayou Teche, as we practices saying "four" and "fo-ooor," as we ate fried shrimp and jambalaya, and as we danced to Terry Huval's Jambalaya Cajun Band, in waltzed Rebecca Wells, perfectly darling in black leggings, pink long sleeved top, and a black, gauze tunic. She is, as my mama would say, "not as big as a minute," a tiny little thing, with her hair swooped up on top of her head and her lipstick perfect. She spent the next hour eating, dancing, and taking photos with the crowd. 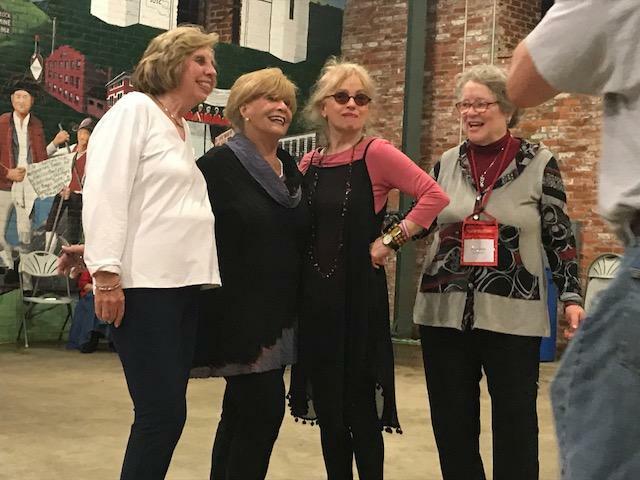 She did the Cajun two-step, the Cajun Conga line, and she took the microphone and pronounced the festival to be "not a book festival but a book party!" She expressed her love for Louisiana and her hometown roots and said how glad she was to be back. Wells in the Conga line with your author right behind her. She won every heart in the place. It is so exciting to see this festival grow and to see the great talent that it attracts. Last year was Ernest Gaines and I couldn't imagine how they could top that. Now I can't imagine who could top the precious, talented Rebecca Wells! Somehow in my past I had neglected reading The Divine Secrets of the Ya-Ya Sisterhood. I remember when the book came out and I remember everyone reading it and talking about it. My daughter even read it (I think) because I had it on my shelf here for years; I never picked it up. When I found out that author Rebecca Wells will be the featured author at the Books Along the Teche Literary Festival this year, I decided it was time to read the book. My librarian friend and fellow book-nerd insisted that I also read Little Altars Everywhere, which I did. Then I read Ya-Ya's in Bloom. I now know the Ya-Ya's like my own family. Now that I've read these, I'm excited to see Rebecca Wells next weekend at the literary festival! This is a woman that can tell a story! My favorite of the three books is Little Altars Everywhere but they are all wonderful; I have not read The Crowning Glory of Calla Lily Ponder yet, I've been so caught up in the Ya-Ya's. They remind me of my mother and her friends in a lot of ways and oh they are so Southern! So now I'm looking at the events schedule for the festival and trying to plan my events. This is more difficult than it sounds; there is so much I want to do! We attended this festival last year and had a wonderful time, made new friends, and fell in love with Iberia Parish. That we would return this year was never in question. Do I want to do the same events I did last year? (Yes!) Do I want to add new events? (Yes!) The festival organizers have spread things out a bit from last year and there are more opportunities to do things; for example, last year I missed most of the authors fair on Main Street because we were doing the Dave's Haunts and Jaunts tour. During the afternoon a nasty cold front blew in and by the time the bus tour was over most of the authors had closed up. Last year I didn't do the Bouree lessons and I think that would be sort of fun! we got to sample delicious food! 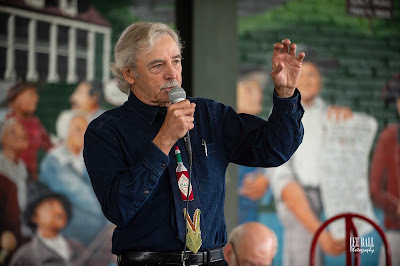 Dave's Haunts and Jaunts Tour 12:30 - 3:00 We did this one last year but two things make me want to repeat this: James Lee Burke has released New Iberia Blues since then, and Danny Bonaventure. Danny is the tour guide and he's terrific, tons of fun, and excellent at his job. This was a blast and I'm all in for doing this again. Live Oak Walk 3:00 - 5:00 Main Street is lined with beautiful live oaks and I think this would be fun. The walk is hosted by a local arborist and I would probably learn some things. We did not do this last year. So Friday looks to be a pretty busy day! So far I've only picked up one new event. The Dave's Haunts and Jaunts Tour runs again at 8:00; it is a possibility we might do it Saturday instead of Friday. Books Into Movies Panel Discussion 10:30 - 12:00. I'm maybe interested in this event. The panel will discuss what authors should know about making a film of their books. A lot of people tell me Cane River Bohemia ought to be a movie; I'm not so sure about that, but maybe I'll learn something or get some networking in via this panel. Allons Manger Food Truck and Music Event begins at 10:30 and runs until 1:30 while the Authors Book Fair runs from 9:30 - 3:00. I think I want to participate in both of these and have a fairly unscheduled day on Main Street, eating, looking at books, listening to music, and watching Bayou Teche. This might give me time to visit the Bayou Teche Museum which we did last year and loved. Bouree Lessons are from 11:00 - 12:00 and I could fit that in, too. University of Lafayette Academic Symposium 12:30 - 2:30. We attended this last year and it was great; I definitely want to do this again. The topic is James Lee Burke and Louisiana Politics: right up my alley. Now this is my problem: if I do the Symposium, I can't do the Reader's Theater which runs from 1:00 - 2:00, and I missed this last year, too. The actors are reading from Divine Secrets and this will be awesome! Ugh! From 3:00 - 5:00 Rebecca Wells will speak and I'm definitely doing this. I wouldn't miss a chance to meet this storyteller/author! I bet this is going to be awesome! 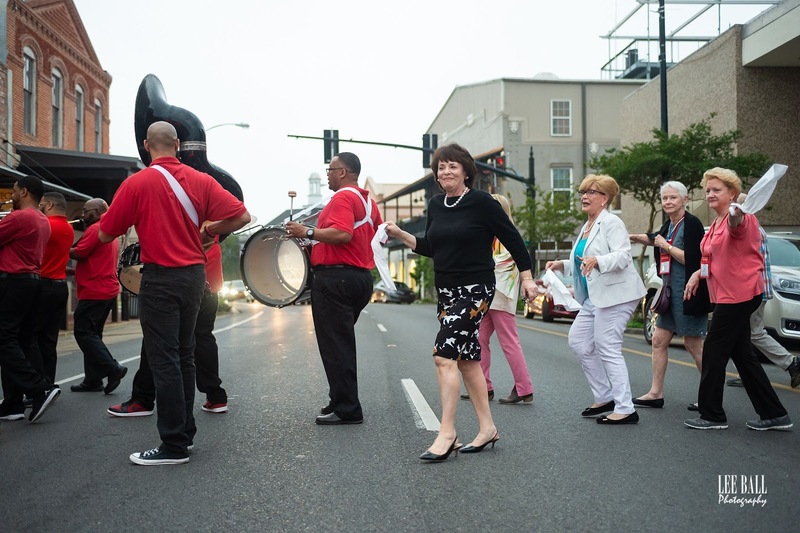 The Boogie on Down Evening Party is from 6:00 - 9:00 and we will definitely do this again. It was great fun last year. 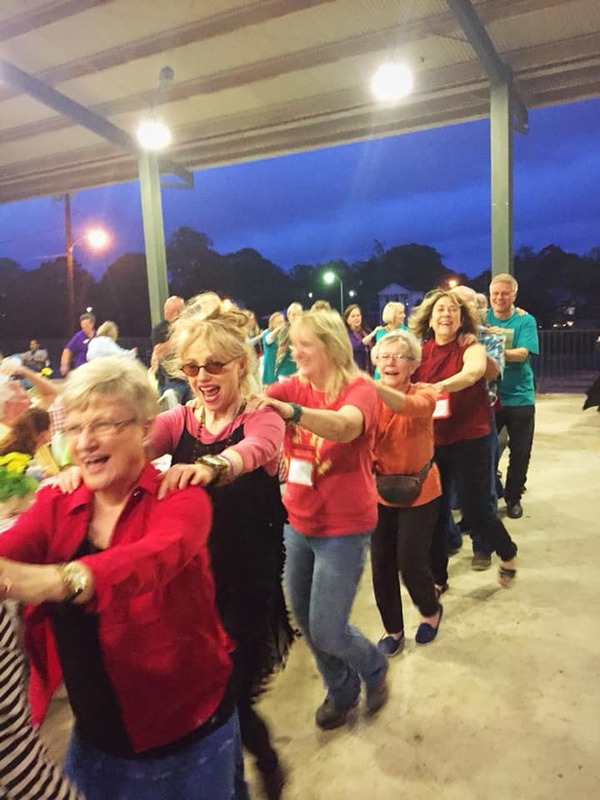 Terry Huval and his group will play fabulous Cajun music, the food will be abundant and delicious, and the friendship and fellowship will be heartwarming! Symphony in the Park. The trip home for us will include lunch in St. Martinville and a stop in Arnaudville to stock up on Bayou Teche Brewing beers and Cajun Saucer Pizza. It sounds like an exhausting weekend and I can't wait! And even still there is not enough time to do it all. I did not even list the Art Guild Exhibit, the movie screenings, the Poetry and Music event, or the Sir Speedy Run. And my gosh, you're in Iberia Parish! When is there time to visit Avery Island? Rip Van Winkle Gardens? Konriko Rice Mill? I'm dying to go to Cypremort Point! I've never been to Jeanerette or Loreauville! The docks at Delcambre are cool to see! There is so much to see and do. This is why after we attended the literary festival last year, we have made at least four more trips to the area since then, and I still haven't seen and done everything there is to do. Guess that means I'll keep on coming back to Iberia Parish! Wishful thinking: where is the sun? On sunshine: Sun? What is that? It's been cloudy and damp as long as I can remember. I need sun. I'm tired of gloomy, gray days. So there. On writing: Blogging has been rather slow here as I've been involved in research and in writing on book two. Plus, it's been gray and gloomy and there has not much I felt like blogging about. I'm so over politics these days -- I doubt I'll ever return to full time political blogging. I'm super excited about my new book project, however, and am looking forward to sharing it with you, but not quite yet. Patience. 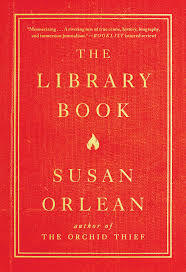 On reading: I've been reading a lot of research material for the new book, but I also have to have my pleasure reading. I am currently reading The Sound of Building Coffins by Louis Maistros, which Steve picked up at the Louisiana Book Festival last fall. It's a stunning book and I can't recommend it enough, especially if you're from NOLA or Louisiana. I'll post a full review when I've finished but man, it's a truly beautiful book. Check it out. On school: Another reason for slow blogging. This semester has been a challenging one and I'm only halfway through the semester. I take seriously my responsibility to teach my students and prepare them for those end of the year tests, even when those students don't always fully realize the importance of those tests. Most days I feel like I've had rocks thrown at me all day and I'm exhausted, sometimes in tears, but this is part of it. And it's why I love my job: we will all get there together and we will be successful. It's a challenge every single day, but one so very much worth taking. On thank-you notes: I received the loveliest thank-you note yesterday from the Association for the Preservation of Historic Natchitoches (APHN), thanking me for speaking at their banquet last month, when in truth, I'm the one thanking them. I love sharing the Cane River Bohemia story with groups and I'm so grateful that they like my book. Thank you notes are too often an overlooked touch, I think. My mama drilled me about writing them when I was young and I still do it. There is something special about the fact that someone took the time to hand write a note, put a stamp on it, and mail it. My APHN note is on lovely creme colored stationery with the APHN monogram and the handwriting is beautiful cursive writing with a personal, lovely message. I will keep it forever and plan to put it in my Cane River Bohemia scrapbook that I'm going to start on this summer. On the calendar: With the approach of spring there are some exciting events coming up. I'm headed to Baton Rouge in a couple of weeks to talk about Cane River Bohemia with the members of the Baton Rouge Country Club Book Club. In April I will be speaking with the North Louisiana Historical Association at their annual banquet in Natchitoches. I'm very excited about both of these invitations! The Baton Rouge event gives me an opportunity to head back down south and I could not be more excited about that. We're going to head over to New Iberia, St. Martinville, and Arnaudville and hit some of our favorite spots. 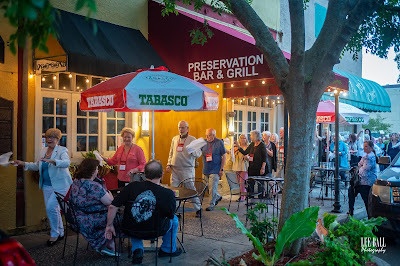 Also in April is the Books Along the Teche Literary Festival and while I am only going as a book lover and not an author, I can't wait to get back to New Iberia and see friends, listen to Cajun music, and take part in the joie de vivre that is so much a part of that area. I need the break. On baseball: Bring it. I'm ready. And leave the damn pitch clock in spring training - quit messing with the game! On crawfish: I need some. I don't want to pay $7.00 a pound for them. I must wait. Since it appears the sun will not come out today I'm going to settle in and get some work done today. I hope the sun is shining where you are and that you have warm, bright days. Last week I was scrolling through Facebook when Braveheart's page popped up on my feed. "This is a post I hoped I would never have to write." My heart sank. A fear-adrenaline rush. I knew without reading any further what I was about to see. Brave is gone. All I could think was "No!" Wednesday, January 23, 2019. In 2013, we all fell in love with a dog. Some 24,000 of us, judging by Brave's Facebook page. But this was never, ever "just a dog." 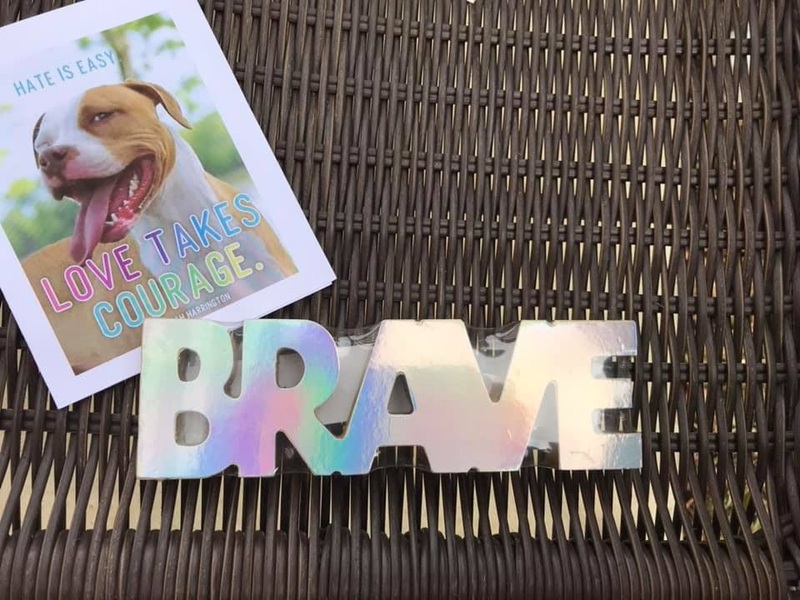 You all know Brave's story; he was discovered near death in a storage facility in the sweltering Louisiana summer heat in 2013. His abuser went to trial in 2015. My blog post about the trial received more hits than anything I ever posted. It was also one of the longest posts I ever ran and I typed it straight through as soon as I got home from the trial, after the verdict. By Monday Loraine reaches out to me: "Can you call me?" Of course. "Bo wants you to write an obituary for Brave." My heart sank. There was never any question that I would do it, but the thought of all the tears I would shed as I did was daunting. "He's going to owe me. At least a six-pack." No problem." Heavenly Acres Pet Cemetery near Elm Grove is a really pretty spot situated on the two-lane blacktop among the hardwoods. Jaci and Kenneth are doing God's work there and seem perfectly suited to it. They are gracious and kind people. Jaci looks you in the eye when she talks to you and puts you immediately at ease. In black pants and navy top today, long hair flowing down her back, she welcomed guests with a bright smile as soon as they arrived while Kenneth directed parking for the large crowd. There is a semi-covered pavilion area with wicker seating and benches. Vines are trailing up the wooden posts and eventually will form a cover over the arbor type covering. A long table is covered with an orange cloth. Orange is the color animal lovers wear to protest cruelty to animals. During the trial lots of us wore orange because we weren't allowed to wear our Team Braveheart shirts. On this table today there was a jar of dog treats, color photographs of Braveheart both alone and with his friends. A guest register. A program. A plexiglass stand with a carved rosewood box. Braveheart. A guest is spreading orange roses on the table. "Please take one when the service is over," she said. "I wish I had bought more. This is all they had." Jaci helps arrange them. They are lovely. Justin Thomas with Lumberjack Rescue is there with Clarence. It might be hard to find a more sentimental dog lover than Justin. I think he's a hero; rescue is such demanding work and Justin has a big job in Springhill where abandoned animals seem to be so prevalent. Justin rails on his Facebook page about animal cruelty and wears his frustrations on his sleeve but this is why we love him. He says what we all feel and his heart is bigger than anyone I know. 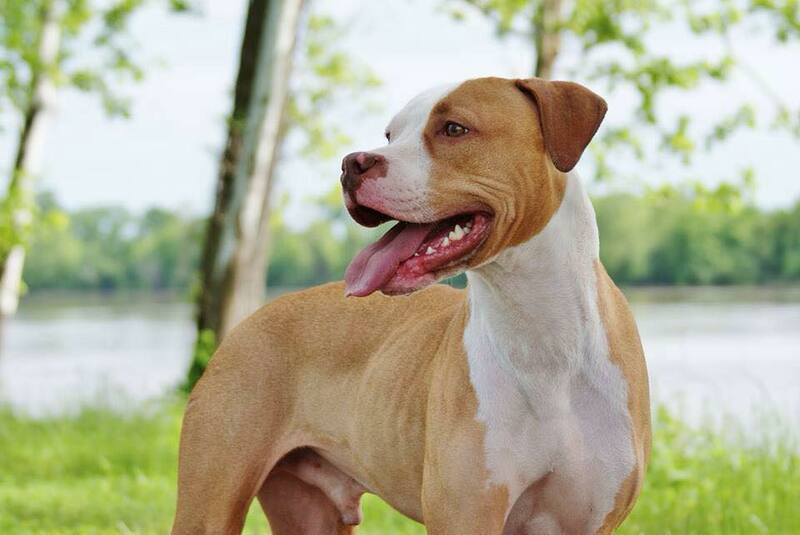 Clarence is as happy a dog as you can imagine and he loves his human unconditionally. That's obvious. More dogs. Two precious Boston Terriers. Chihuahuas. A Yorkie. Braveheart had friends everywhere. I see Anita and have to go introduce myself. I'm hoping she will start a Cat Daddy Bilbo Facebook page. I'm a fan. Bilbo is her precious rescue cat that has more than his fair share of personality. Everyone mingles before the service. Lots of old friend here. Bo, Ronda, and Raine finally come through the gate about 1:10. Raine is driving. A parking spot had been reserved for them up front. A swell of people move toward them and Bo and Ronda are wrapped in embraces as soon as they get out of the car. Ronda looks beautiful, as always. Serene. You know she's hurting; it's in her eyes. Maybe it's her work experience that helps a bit, even though this one is oh so personal. She's in jeans and the orange Team Braveheart t-shirt, as so many of us are. Bo is as well. The grief shows on Bo. Straight up pain. Raw. Bo and Ronda sit next to Ronda's mother on a wicker loveseat while Raine takes a chair next to them. Jaci begins, "When Jean called me last week and told me she had a big one for me, I thought she meant a hundred pound dog. When she told me who it was I couldn't believe it." John Lennon's "Beautiful Boy" plays. People weep. Life is what happens to you while you're busy making other plans." Guests were invited to speak and share memories. Justin, brave soul, went first. Voice trembling, he read his comments, a poem, and then closed with "Thank you Brave for what you taught us, and thank you Bo and Ronda for sharing him with us." When he finished, both Bo and Ronda stood to embrace him. Raine spoke after Justin. I knew how hard she was struggling with her emotions and how hard she was trying to keep her voice steady. I was literally willing her to get through it. "If there is one thing I wish people would take away from here today it is that we should all be kinder. We should all stop the anger and bitterness. We should all just Be Brave," she said. No truer words. This speech, too, was followed with a poignant embrace. Throughout the service, Bo clutched a chrome decorative object in his hand. I looked at it afterward; it spelled out BRAVE. Cynthia, thank goodness, broke through some of the sadness with a heartfelt message about the power of social media to do good, and how everyone rose up to fight for Brave. Her speech lifted Bo, ignited a spark in him, and when she finished he got up to speak. "I wasn't going to say anything," he said, "but you sparked something in me and I want to speak." He had us all laughing before he was finished. I'm not sure how he did that, but we laughed. It's such a cliche, but it started to rain, just a little. Like the sky was crying for Brave. Umbrellas came out, hoods came up, people moved around a little. Then the sun came back; I just had to smile. I thought, perfect. Just perfect. As the final song played, a tearjerker song that I can't remember the name of, Bo's head dropped, his whole body sagged, and Ronda's protective arm went around him. He stood up, walked to the table and picked up his dog. He picked up that rosewood box with the brass plaque, "Brave," on it, clutched it to him, and his whole body curled around it as he sat back down. The dam broke and my tears flowed. It was the saddest thing I ever saw in my life. Ever. Balloon release. Biodegradable balloons. No strings. Three huge black bags filled with orange balloons. Some levity now. Some hugs and laughter as we all get a balloon. One escapes early and drifts into the sky. I think that was was Brave's, going ahead of us. Everyone holds their balloons aloft. Kelly Clarkson's "Stronger" blasts from the pavilion and on the count we release. Everyone's eyes follow the balloons until we can't see them any longer. I brought home an orange rose. I left behind a flood of tears. I took a lot of pictures. I hugged some people. I pet some dogs. I lost a friend. So did we all. Braveheart had a smile that I will never forget; I didn't spend as much time with Brave as a lot of people did. I was the "Braveheart Blogger" because of my trial piece, but Brave let me love him. He let Steve walk him into the Barkus and Meoux parade a couple of years ago when we ran into him in the parking lot. He gave us kisses and he taught us about unconditional love, hope, and trust. He made all of us better human beings. Run free, sweet Braveheart. You were truly a champion. No dog ever had a bigger heart or taught us so much. I've spent my morning cleaning off my desk, arranging stacks of papers, binders, and downloading articles for research in preparation for my next book project. I've been scratching around this process since I finished Cane River Bohemia, and now it's time to get to work. The muse has struck. I don't want to reveal much about the project yet except perhaps to say that it will be a nice companion to Cane River Bohemia and that Miss Cammie would definitely approve. I'm very excited about being back in writer mode and ready to get back to work. For me, writing is a very consuming process. Wish me luck. As to upcoming events for Cane River Bohemia, I will be the speaker at the Association for the Preservation of Historic Natchitoches (APHN) annual luncheon in February; in March I will be speaking to the Baton Rouge Country Club Book Club, and in April I will be speaking to the Northwest Louisiana Historical Society at their awards luncheon in Natchitoches. I'm so grateful for these opportunities and for all of the blessings this book has presented so far. I was thrilled last week to learn that Cane River Bohemia will be available at the Melrose Gift Shop because to me, it means Cammie has returned to Melrose (not that she ever left, really!) and it completes the histories of the trifecta of Melrose ladies: Marie Therese Coincoin, Cammie Henry, and Clementine Hunter. The Melrose Arts and Crafts Festival will be April 6th and 7th this year and I'm happy the book will be in the gift shop for that event. I love a well-written historical biography and Cane River Bohemia is not only fascinating, it reads like a novel- captivating and engaging. Becker thoroughly transported me to Melrose Plantation and shed a light on a place and group of people, particularly Cammie Henry, of course, but her cultivated 'salon' of sorts as well, that I would never have known about. History buffs, but also those interested in learning more about American artist colonies and some of the creative 'influencers' of the '20s and '30s who have slipped under the mainstream radar, will definitely appreciate this book. 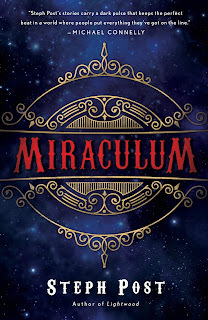 Steph has a fantastic book coming out this week, Miraculum, which I reviewed here. She's also got a great Florida crime series with the protagonist Judah Cannon and I'm anxiously awaiting the third book in that series! So it seems Miss Cammie is settling in comfortably to her place in history and it's time for me to get to work on the next big thing! If blogging here becomes sporadic, have patience with me once again. I was never one of those kids who wanted to run off and join the circus, but I was always rather fascinated with that gypsy, nomadic kind of lifestyle and the various dynamic elements at play in the carnival life. Who wouldn't love to travel around the country, meet new people, develop a sort of family with your workmates, and be part of the greatest show on earth? 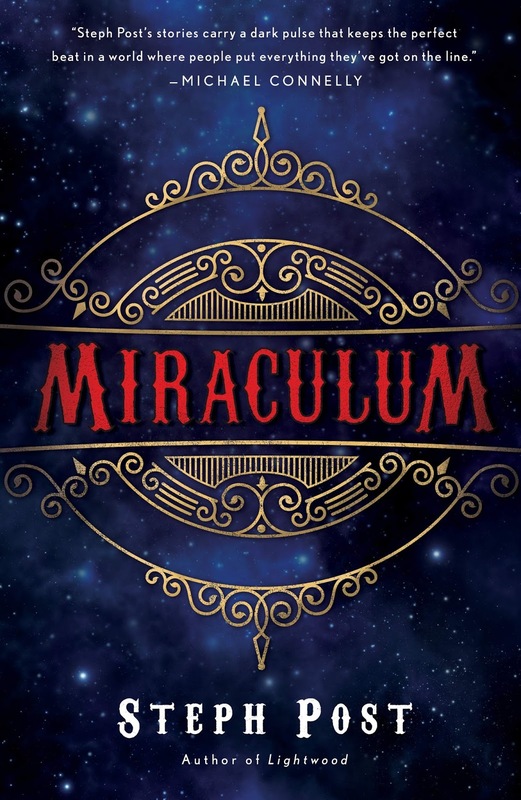 Author Steph Post's latest book, Miraculum, comes out January 22, and trust me, this is a book you want to read. I was provided an advance copy by the author; I read this book in October, and I mention that only because this book is still "with" me. I still think about it and passages still come to mind at the most random times. The characters are so vivid, so finely drawn, that they are literally living and breathing right off the page. Even the cover of the book is beautiful! "I've got the Alligator Lady and the Lizard Man! I've got a Giant so tall he can barely fit inside the tent!" The mysterious, elegant Daniel Revont takes it all in as he walks the midway, and of course so do we. There's nothing cliche about Post's narrative. As the story opens, the carnival is set up near the Louisiana-Texas border and Post makes fine use of the excellent imagery the region provides. The humid summer nights, the warm breezes that sometimes suffocate you, and the midnight blue velvet skies ablaze with stars provide the backdrop for the mysterious events that transpire. The novel is very descriptive and visual with imagery that crackles like the electricity running along the midway. "Ruby leaned on the warped wooden door frame and raked her dark, tangled hair back away from her face. Already, the early July air was stifling, threatening to choke her if she breathed too deeply. She looked out at the lonely carousel, the garish horses frozen in mid-leap, the remnants of last night's show, paper cotton candy cones and sticky candy apple straws, strewn beneath their painted hooves." I loved both of these characters so much and Post's writing brings them both to life in a way that stays with you. There are other characters to love: the vulnerable and beautiful January, the lead dancer in the Girl Revue; Hayden who painted the ceiling of Ruby's wagon as well as the sides of the circus wagons, and even Samuel, the mysterious right-hand man who works with Ruby's father. Steph Post is an exciting writer to keep your eye on; I love her Judah Cannon series which in fact have nothing whatsoever to do with a circus but are set in contemporary Florida which only shows Post's range and capability as a writer, in my opinion. I'm not going to give any spoilers or tell you how this all unfolds, but just know that this book deserves a spot on your shelf next to Ray Bradbury's Something Wicked this way Comes, Gruen's Water for Elephants, and Morgenstern's The Night Circus. Post did a great deal of historical research for this novel and it shows, and even though there is a great deal of historical accuracy about the carnival life in that period, the novel has it's fair share of fantasy and magic that will captivate not just fans of the fantasy genre, but anyone who enjoys a good story with intriguing characters in an atmospheric setting. Miraculum is a fun, engaging read and I highly recommend it.